Ever stumble upon something and just get so taken by it? I stumbled upon "The JT Paradox" today and loved this picture so I wanted to share it with you. Don't get me wrong, I love Disney and the cartoon/movies they put out. 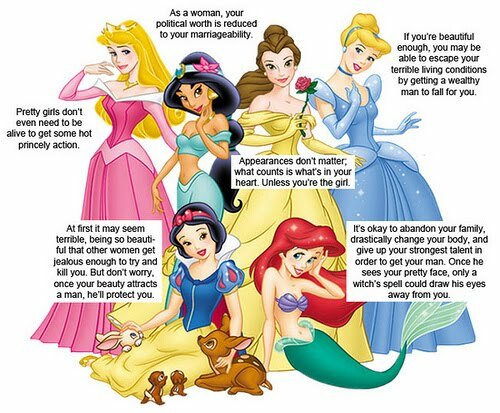 Growing up my room, clothing, and school supplies were all in The Little Mermaid motif, but after seeing this it really made me think about morals and what Disney could possibly be teaching little girls. What do you think about this? PS-tomorrow is the last day to enter my giveaway so go here and enter now! You get to choose what you win!